For those interested rich people they are taking orders now. 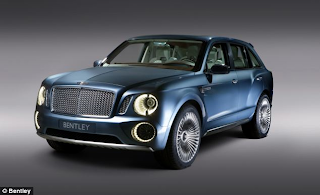 Yes, the new Bentley 4x4 having adorable features and costly car too. And it is only for rich people for sure. Anyway thanks a lot for sharing.